You may recall the sad tale of Dwight Hammond Jr. and his son Steven Hammond who, in 2012, were convicted in of arson. 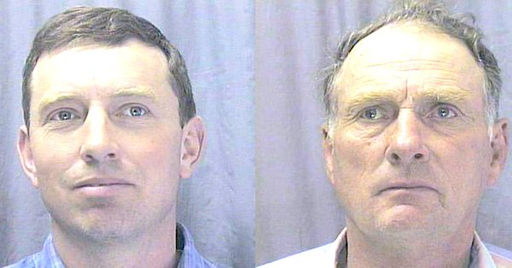 The two men were sentenced to five years in prison in 2016 for setting fire to public land over a dispute regarding grazing rights for their cattle. The incident escalated giving rise to an armed takeover of the Malheur National Wildlife Refuge. The Hammonds are devoted family men, respected contributors to their local community, and have widespread support from their neighbors, local law enforcement, and farmers and ranchers across the West. Justice is overdue for Dwight and Steven Hammond, both of whom are entirely deserving of these Grants of Executive Clemency. As an American, I am dismayed to learn of the pardons issued to Dwight and Steven Hammond. As an Oregonian, I'm disgusted. They are arsonists and have caused nothing but harm to our state and country. What of the jobs lost, the laws broken and the money spent on these criminals?